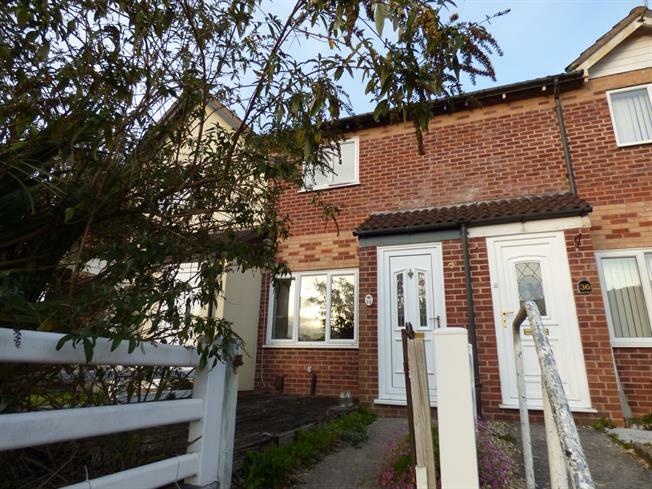 2 Bedroom Terraced House For Sale in Plymouth for Asking Price £120,000. A modern two bedroom mid terrace property which represents an ideal investment buy to let opportunity with a tenant in situ. Benefitting from gas central heating, uPVC double glazing, modern fitted kitchen, bathroom and an allocated parking space. Double glazed uPVC window facing the front. Radiator, laminate flooring, under stair storage cupboard. UPVC double glazed door opening onto the garden. Double glazed uPVC window facing the rear overlooking the garden. Laminate flooring. Roll top work surfaces, fitted wall and base units, stainless steel sink, integrated electric oven, integrated gas hob, over hob extractor, space for washing machine. Double bedroom. Double glazed uPVC window facing the front. Radiator, carpeted flooring. Fitted wardrobes and airing cupboard. Heated towel rail, tiled flooring. Low flush WC, panelled bath with shower over, pedestal sink. An enclosed rear garden with patio areas. Allocated parking space at the front.